With military aid response, Bush is again up to no good. Flu me once, shame on you; flu me twice, . . .
Where things stand . . . The propaganda campaign to sell the war in Iraq . . .
Was the 2004 Election Fixed? Mariani v. GWB et al. Will 11/2 be our next 9/11? The Assassination of JFK, Jr.
to John F. Kennedy, Jr.? "The Assassination, the Cover-Up, and Beyond"
and James H. Fetzer, Ph.D.
REAL FAKE. AND SO IS HE. OSWALD WASN'T EVEN A SHOOTER! TO ROBERT F. KENNEDY, JR.
LEN OSANIC AND BLACK OP RADIO? in the Assassination of JFK?" "About the Death of a Senator"
by Don "Four Arrows" Jacobs, Ed.D., Ph.D., and James H. Fetzer, Ph.D.
No one disputes that, prior to the election of 2002, the United States Senate was divided 50-49 with the Democrats in control. The split had come about as a result of the decision by Vermont Senator James Jeffords to disavow his status as a Republican and declare himself an Independent. No one disputes that Georgia Senator Max Cleland lost an election he had been widely expected to win, where the votes were tabulated by electronic voting machines. The death of Minnesota Senator Paul Wellstone not only deprived the Democrats of a majority during the lame-duck session after the election but the subsequent loss of Walter Mondale to Norm Coleman, whom Wellstone was defeating, cost them control of the Senate. At the time, the victory was broadly hailed as displaying the power of the Bush machine, where the President was said to have placed his reputation "on the line". But more and more studies have suggested that Max Cleland's loss may have been due to machine manipulations of the vote rather than to genuine political muscle. And if the death of Paul Wellstone, who was pulling ahead of Norm Coleman, was no accident, as other studies suggest, then it may have been far less of a political risk for George W. Bush to have campaignedaggressively for a predetermined result. If the Republicans proved anything during the fiasco in Florida, it's that they can count. The outcome was control of the Senate, 51-48, with that one lone Independent. 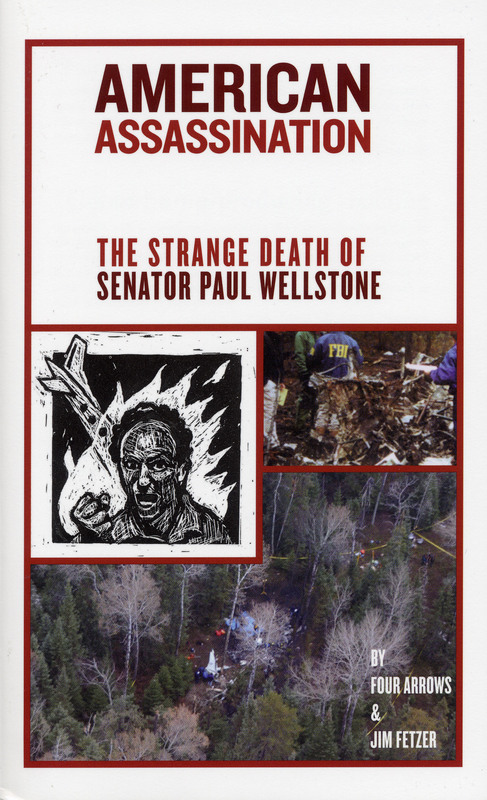 Minnesota writer Roderik Dundass has written a screenplay that exploresinformation and events surrounding the death of Senator Paul Wellstone. Edited by James H. Fetzer, Ph.D.
Perhaps no greater debate has raged in the history of the study of the death of JFK than over the authenticity of a 27-second home movie of the assassination, known as "the Zapruder film". This footage has been described as "the most significant amateur recording of a news event in history". It is surely one of the most controversial. Some students of the crime take it as the absolute foundation for understanding what actually transpired. Others are not so sure. 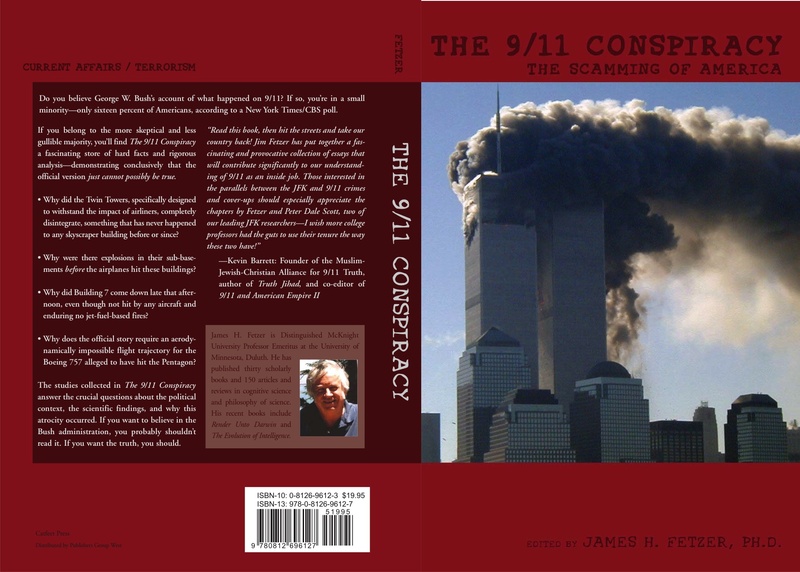 This volume emerged from The Zapruder Film Symposium, which was organized and moderated by James H. Fetzer on the Duluth Campus of the University of Minnesota, 9-11 May 2003, and may well prove to have been among the most important conferences in the history of the study of the death of JFK. Certainly, the discoveries reported here remove any question about the film's authenticity and reveal the lengths to which the conspirators were willing to go to cover up the true cause of death of John Fitzgerald Kennedy. To review the conference, click here. 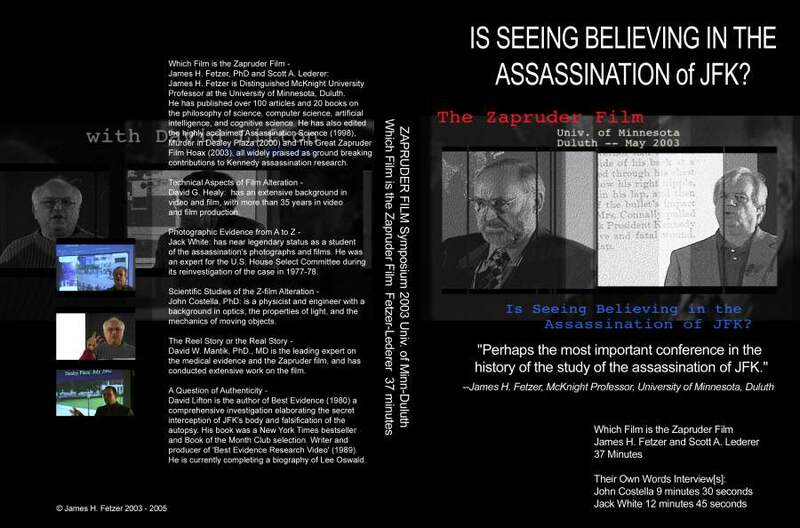 One of the first results of the Zapruder Film Conference was the discovery that the films available to the public, including David Lifton's "Z Film" (undated), the Macmillan CD (1993), Robert Groden's "The Assassination Films" (1965), and MPI's "Image of an Assassination" (1998), all differ significantly in the amount of information they provide. Even the best, MPI's "Image of an Assassination" (1998) does not include frames 155 and 156; does not include frames 208, 209, 210, and 211; has reversed frames 331 and 332; and also does not include (what ought to be) frames 341, 350, and (even) 486 (!). John P. Costella, Ph.D., has produced a fresh version of the film, which overcomes all of these deficiencies and introduces improvements never before seen in any Zapruder film, namely: corrections for pincushion and aspect ratio distortion; inclusion of the so-called "ghost panels"; and masking of open sprocket holes to make information more accessible. In the interest of advancing the frontiers of knowledge, education, research, science, and inquiry, this new, improved version is being made available to the public free of charge. May it contribute to better understanding the death of JFK! NOTE: This may work better with Internet Explorer than Netscape Navigator. James Fetzer now hosts his latest radio show, THE REAL DEAL, M/W/Ffrom 5-7 PM/CT on the revereradio.net. His programs feature a widerange of experts on the current topics of the day, from 9/11 and JFKto health care and foreign affairs. Controversial issues are the orderof the day, from "false flag" attacks in Argentina to the moon landinghoax. These in-depth interviews are archived at radiofetzer.blogspot.com. 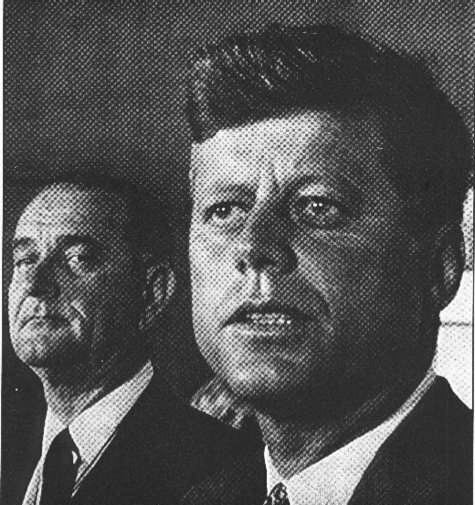 James Fetzer and John P. Costella are now editing a new on-line journal for advanced study of the assassination of JFK, ASSASSINATION RESEARCH. open to the public. For information about submissions, go to http://www.assassinationresearch.com or contact the Editor, James Fetzer, at jfetzer@d.umn.edu. the cover-up by exposing	the Zapruder film as a recreation. Buy these books as presents for friends, relatives, and others interested in American history, what happened to our country on 22 November 1963, or truth and justice for JFK. You will also be supporting assassination research, because royalties from the sale of these books are used to fund new research. On 22 November 1963, John Fitzgerald Kennedy, the 35th President of the United States, was assassinated in Dallas, Texas, while his motorcade passed through Dealey Plaza. On 29 November 1963, Lyndon Baines Johnson, 36th President of the United States, appointed a panel of inquiry--chaired by the Chief Justice of the Supreme Court, Earl Warren--to investigate the death of his predecessor. A summary of its conclusions--technically only an advisory report to the president--was published on 27 September 1964. Twenty-six volumes of related testimony and exhibits were published on 23 November 1964. These are among the very few undisputed facts about the death of JFK. Now we know more. Â© 1998 by James H. Fetzer, Ph.D.